Amy Wagstaff began selling real estate in 2002. First in the USA and then in New Zealand, in West Auckland. Amy has a Bachelor’s Degree in Integrated Marketing and Public Relations from Indiana University in the USA. She also completed her New Zealand National Certificate in Real Estate, Branch Manager’s Qualification, National Diploma in Real Estate in 2009, which makes her AREINZ qualified. 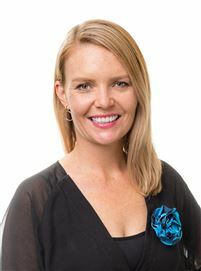 During her selling career Amy achieved numerous awards including multiple Diamond Achiever Awards, Top 5 for sales volume in her Region two years in a row, Top Agent in the office out of 4 West Auckland offices. And in 2010, Amy received a Platinum Award for consecutive Diamond Achiever sales four years in a row. With a proven record of success in the sales arena combined with a professional background in marketing and sales, ensures Amy that she is aptly qualified to assist Salespeople to grow their businesses and achieve superior results for our clients. Amy’s marketing, organisational and negotiating skills combined with her high level of communication, commitment, energy and focus are key factors in Amy’s ongoing success. Amy strives at helping her team succeed and working with them to be the best in the industry! Amy lives locally with her husband and two young children. Amy enjoys being with her family and friends, swimming, cycling, tending to her veggie garden and reading in her spare time. Nick Langdon personifies what a real estate professional is all about – experience, commitment, growth and success. From the very beginning of his property career, Nick knew that management was in his blood. He began in sales, before rising to management, and finally honed his business acumen in a business development role. Nick is now the Managing Director of six very successful offices based in Orewa, Helensville, Snells Beach, Warkworth, Silverdale and Whangaparaoa. Nick is also a firm believer in work-life balance, so when he’s not working you can find him with his wife and two children. Progressive, a believer in pushing boundaries and a straight talker, Nick throws himself into every challenge. Nick Langdon - for power behind your real estate. Cara is proud to be a third generation Warkworth area real estate agent, following in her grandfather and father’s footsteps. She has been selling real estate since 2014 but has had real estate in her blood since birth! Cara has helped many locals in transactions from commercial buildings to residential property to whole subdivisions throughout the Matakana/Warkworth region. Cara has an unsurpassed knowledge of the local area, real estate marketing, and a great empathy for all of her clients and customers. 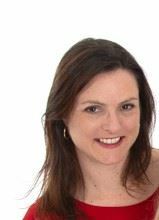 Cara has completed a degree in Mass Communications from Canterbury University which gives her a vast knowledge of how to communicate with people on all levels: from personal contact to print to digital marketing channels. Plus years of travel, and living and working, in New York, London and Cardiff has given Cara the ability to communicate and reach out to foreign buyers. It has also given her an international database to pull from when selling local property. In her spare time, Cara enjoys spending time with her family and friends, travel, and participating in the Mahurangi Rugby club. All of this combined with an outgoing personality and an established background in the Warkworth area, means Cara can help you with all your real estate requirements in order to sell your home more effectively and efficiently. For a proven name you can trust in any property transaction, call Cara Postlewaight today! Geoff is a long-time Matakana local. Before real estate, Geoff held a role as an auditor working with BioGro New Zealand in organic agriculture, horticulture and food processing. This role required strong negotiating skills and excellent time management skills. Geoff holds a Bachelor’s degree in Agricultural Science from Lincoln University. As well as his auditing role he has tutored for Northland Polytechnic teaching Horticulture courses from his Matakana lifestyle property giving people skills and confidence in vegetable production, fruit growing and preserving. These qualifications give Geoff a strong knowledge and a more powerful ability to sell lifestyle blocks, rural-residential properties and garden-unique properties. Geoff loves the Matakana Coast, and enjoys meeting new people around the area. Geoff and his wife, Bridget, live on an 11-hectare lifestyle block called "Tamahunga Gardens". They were foundation members of the Matakana Farmers Market gaining a mention in the Cuisine Top 50 for 2006. In their spare time, they also enjoy a home based accommodation business from their lifestyle block. They have operated their boutique accommodation business since 2003. 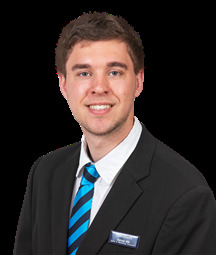 So if you have a Matakana Coast property to sell or you are looking in the area and want a local expert, don’t hesitate to give a Geoff a call today! EXPERIENCE and BACKGROUND: Jeneen will go to the ends of the earth for you… her extensive background in the travel industry, tertiary lecturing in customer service and a professional nursing career, has meant Jeneen has put her vast experience of dealing with people from all walks of life, to good effect in the world of real estate with outstanding results. A strong commitment & involvement in the Tomorata and Matakana communities for over twenty years means Jeneen has exceptional local knowledge and is able to pass the benefit of this to her many clients. The greatest satisfaction for Jeneen as a professional in the industry is to match people with property, she prides herself in being able to achieve this effectively minimising the stresses that can be involved with selling and buying real estate. Jodene lives and loves the Matakana Coast! She is experienced and very familiar with this property market. She is passionate about her local area: the markets, the beaches, the buzz and the vibe of the amazing and progressive area that it is. Having established and owned a highly successful business for several years it’s no surprise Jodene is a winner in real estate. 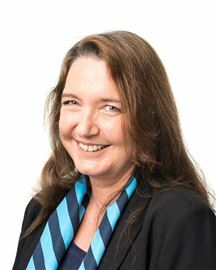 She first carved her real estate career out in 2005 with Harcourts, and has been achieving top real estate results ever since; winning a succession of Awards, pins and placements both regionally and nationally showing an outstanding level of performance. Jodene is a consistent high achiever and has established herself as a Star performer that gets results, having marketed an extensive portfolio of properties from entry level property to high end estates. All of her vendors have been thrilled with her meticulous attention to detail. She is disciplined with an astute mind and constantly keeps in touch with all her clients. When you combine her polished, razor sharp negotiation and marketing skills, effective communication and client commitment, total respect and empathy-- this true professionalism is what makes her stand out. It is easy to see why she always gets glowing testimonials from her clients that return time after time, along with their friends and family. Jodene is totally equipped and qualified to help make your next real estate move a smooth and successful one. “List With A Star”! 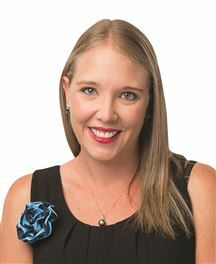 Kathy began her Real Estate career in Queensland, marketing and selling prestigious property developments in Noosa and surrounds. Since returning to New Zealand in 2012, she has also continued to work in Real Estate. Her wealth of property knowledge is further enhanced by a background of Professional Interior Design. Kathy understands how best to market a property for maximum results. Listening and understanding what a client requires both aesthetically and function wise is the key, followed up by excellent communication. Originally from Auckland, Kathy is well travelled, having lived in many countries around the world from India to Norway. She is fluent in Norwegian language. Due to living around the world Kathy is well versed with the varied requirements of migrants moving to New Zealand. For a salesperson who will walk you through every step of your Real Estate journey, eliminating stress, and making it an enjoyable experience – call Kathy today and have a chat about your property. Kathy has lived and worked in the Rodney area for over 20 years. Her passion for Real Estate was born from her love of the area. Kathy’s extensive background in beauty therapy and elderly care work has given her a wide range of not only customer service excellence and proficient communication skills but also an awareness that her work has a huge impact on her clients and their futures. Kathy has a passion for working with the elderly and older generation, and has natural ability for knowing what her clients want and how to find it. Her goal is not only to achieve the absolute best outcome for you in today’s real estate market but to make the process as easy and enjoyable as possible, while providing you with the peace of mind that you are being taken care of! Matthew is the kind of guy that you can rely on – if he says that he will do something – he will! He strives to always be approachable and believes in having 24/7 service policy, which is essential in a real estate salesperson. He lives by the belief in being selfless and putting the needs of others in front of his own. He lives by the words: “Never look down on someone unless you’re helping them up” – Jesse Jackson. Having come from a diverse community in England means he has experience with and enjoys working with people of many backgrounds. As a local to Matakana it didn’t take him long to fall in love with the local area or it’s people. With a background in the grocery industry, Matthew developed great customer service skills, ability to work in a team, to multitask and a good handle on time management. So, if you’re looking to sell, or find somewhere to call your forever home, and want someone you can trust to work for you, don’t hesitate to call Matthew today. Michelle’s connection to the Rodney area goes back five generations and when she and her husband were given the opportunity to move back to the family farm after selling their North Shore based design, marketing and sign business, they embraced the idea as they felt it was the perfect opportunity to bring their daughter up surrounded by land, farm animals and pets. Michelle takes advantage of the bounty of natural resources available in the area. You can often find her and her family at a local beach, or on one of the many bush walks. She is an avid supporter of local businesses as she is a regular patron of the cinema, local events, and at the stunning range of restaurants. This area is a place with heart, where people and relationships matter and personal integrity and business ethics underline people’s way of life. Michelle wanted this for her family and in her professional life. Her attention to detail, high customer service, and willingness and ability to go the extra mile for her customers are personal values that have made the shift into real estate a natural transition. Whether you are looking for a new lifestyle or looking to find your special place, please know that Michelle is able to help. Approachable, understanding, and passionate about life, she can welcome you and support you to start your new dream. 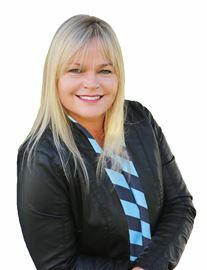 Tracey’s passion for real estate started in the 90’s – she worked in several real estate agencies as an office administrator in the Rodney District. She is a country farm girl and has lived in the Warkworth area for most of her life. Tracey is very passionate about the Rodney District. You will always be greeted by Tracey with a smile and genuine honest demeanour. Tracey lives with her husband and 2 teenage boys, on a 20 acre block locally and enjoys her animals and lifestyle. “I believe in honesty and that is what you will get from me, as well as a great result whether buying or selling property”. Emma is the Personal Assistant Extraordinaire to Jodene Mildon in our Warkworth office. Emma has a strong background in administration, marketing and customer service. She has worked previously for another Harcourts office as the Marketing Administrator for 2 years. Emma is a local Matakana Coastal resident; originally moving up from the Hibiscus Coast with her husband, 6 year old boy, 1 year old girl and her beautiful dog. Emma’s interests are cooking and baking, working out at the gym and relaxing with her young family. Natasha is our Office Administrator Extraordinaire! She has experience in Customer Service and Administrative roles, having worked in Support Offices in the Service, Retail and Hospitality industries. Most recently at Massey University as their Customer Service Administrator. She will greet you with a smile and friendly, professional manner when you come in to visit our Warkworth office! Natasha has lived in and around the local area for the last 20 years. She loves spending time with her kids and granddaughter at our fantastic beaches and parks. In her spare time she also loves to knit. Sarah is our friendly, bubbly Administrative Assistant at Warkworth and Matakana. You’ll be greeted with a lovely smile and a friendly “Hello” when you come to visit! Sarah looks after our Reception area and our Admin Team with professionalism and a great can-do attitude! Sarah is no stranger to property either, her husband and her are seasoned property investors and thrive on the challenges that come with renovating, building and landscaping. They have bought and renovated several homes from Auckland to Christchurch. They love the feeling of seeing their homes finished to a high standard and seeing their tenants enjoying the family homes that they provide. She’s been a local of this amazing community her entire life and now lives in Snells Beach with her husband, 5 year old daughter and 2 year old son. You may have seen Sarah previously at her 6-acre orchard in Omaha Flats, which she owned and managed, growing a wide variety of seasonal fruit, vegies and fresh cut flowers. They also ran a very popular market stall and hosted a beautiful Air BnB accommodation as Super Hosts. In her spare time Sarah and her family love to enjoy all this community has to offer. They spend their weekends as a family: out on the water, boating, fishing and diving or at the beach swimming. They are still keen gardeners and are very proud of their large vegetable gardens. Sarah also has a passion for photography, cooking and baking. So come in and meet Sarah today! 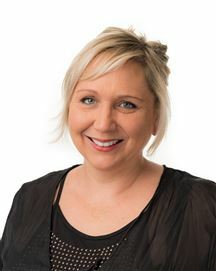 Sheree Stables is the Personal Assistant to Jeneen Binsted in our Warkworth Office and our smiley weekend Receptionist. Having previously worked for Harcourts over the years as a receptionist and PA, Sheree brings her experience and enthusiasm to working with Jeneen and her clients. Having grown up in the area, and now living at Kaipara Flats on an acre of land with her Husband and two teenage boys plus a variety of animals. Her interests are horse-riding, baking, reading, beach walks and enjoying life with family and friends. Be on Holiday Year Round! Vendor Meets The Market !!! DO-UP And Reap the Rewards! Oh so much for $549,000! Bring on Summer at Pakiri! Position Perfect - Secure Now!